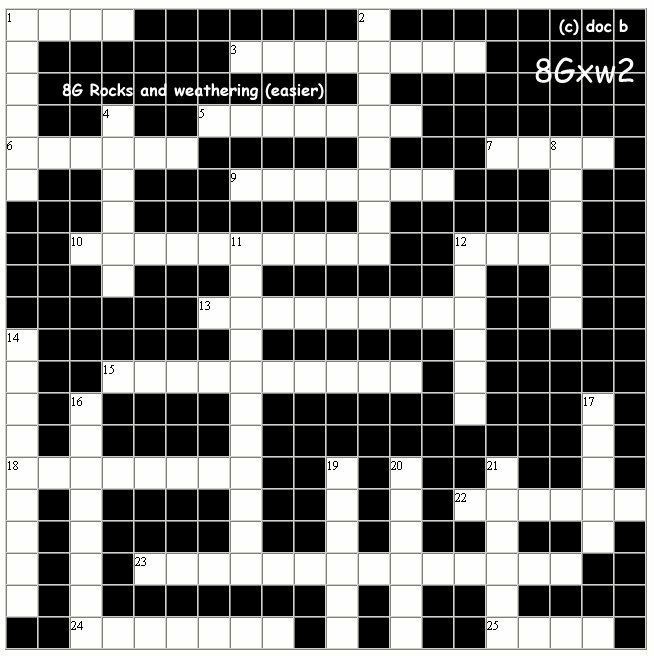 The smaller easier KS3 Science-Chemistry crossword on "Rocks and weathering"
15 Salt lakes were formed by (10)? soluble rock materials. 1 Rocks contract when (6)? 20 Rocks expand when (6)?